Rank Vans by Floor Length. Just one of the many things possible with the Rank-By-Specs Compar-A-Graph! With its infusion of Street and Racing Technology (SRT) DNA, the all-new Charger SRT8 provides exactly what performance enthusiasts want in their American muscle sedan: more power, world-class ride and handling, benchmark braking, functional and aggressive-looking exterior enhancements and a race-inspired interior. As an all-around performer, the Charger SRT8 is capable of awe-inspiring numbers unheard-of in a muscle sedan: 0-60 mph in the low-five-second range, quarter-mile time in the mid-13-second range and braking distance from 60-0 mph in approximately 110 feet. Charger SRT8 is also capable of accomplishing SRT’s signature performance test of 0-100-0 mph in the mid-16-second range. 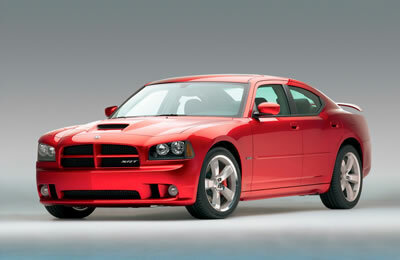 Charger SRT8 gets its motivation from a HEMI. In this case, it’s a big-bore, SRT-engineered version producing 425 horsepower and 420 lb.-ft. of torque.